SEO stands for “search engine optimization.” For business owners and webmasters, this means optimizing their website and webpages for “getting found” in the search engines. This ultimately means making those pages the best possible so that search engines will favor them over the competition and can find them and drive search traffic to the website. By doing so, when customers jump online looking for a business in their area – something more and more customers are doing – they stumble upon the websites of a businesses that have what they need. But they’ll only find those businesses that have taken the time to optimize their online content for local SEO. 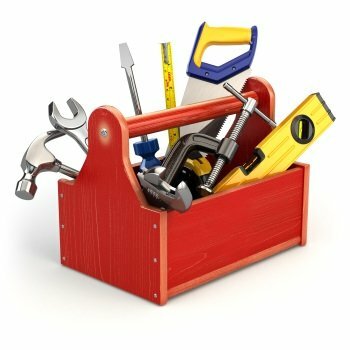 Is Local SEO A Form Of Advertising? Local SEO is an extremely targeted form of advertising because the business owner isn’t actually advertising directly to the customer. It’s this way that local SEO is so unlike television commercials, print ads, and brochures. While these methods may fall upon the ears of hundreds or even thousands, and only get the business one or two new customers, local SEO isn’t blanket advertising. Business owners don’t just have to put it out there and hope for the best. By its very nature, local SEO automatically targets a specific audience. And, if done correctly, it can have a higher ROI than most “traditional” traditional forms of advertising put together. In order to understand SEO of any kind, including local SEO, you must first understand the basics of how Google works. Of course there are other search engines involved in search as well, but Google isn’t just the biggest search engine, it’s also considered the gold standard when it comes to SEO. New information is continually being created online every single second. A new video is being uploaded, a new blog post, or a new webpage, to name just a few types of online activity. In order to find this information in the seconds it takes Google to pull up a search results page, the search engines needed to come up with a way to quickly organize the pages and find the most relevant to display. When Google created a way to do it, it was a fairly complicated nameless algorithm; people often referred to it as “Google’s spiders”. In 2013 however, Google overhauled and simplified that algorithm. They also gave it a name that it still uses today – Hummingbird. The Hummingbird algorithm is made up of many different parts, very much the same way a computer is made up of different parts that all help it run and perform. Google regularly releases new parts that have been added to the algorithm including Panda, Penguin, Mobile Friendly, and Pigeon – the part of the algorithm designed to improve local results. There are certain signals the algorithm, and all the many parts of it, look for when searching for websites to display in their search results after a user has made a query. Two of the most important signals are words and links. PageRank – most often just called page rank – is another part of the Hummingbird algorithm , and a very important one when it comes to local SEO as it deals with links specifically. Page rank determines how many other webpages point to one website, or one webpage. Every link is counted as a vote for the webpage it links to, and each vote will increase a website’s page rank, getting them to rank higher in the search engine. Words are also easily one of the most important signals the algorithm will look for. In SEO terms, these are known as ‘keywords’, and they are crucial. The keywords are the words someone will enter into Google when looking for a particular product or service. So, if someone was looking for a mortgage broker, they might enter the term “mortgage broker” into the search field. At their most basic, this is how words signal to the algorithm what the webpage is about. Once a business owner understands how Google works, they can then learn to work with it, and post content that will direct Google – and therefore, users – to their website and to their business. This is local SEO, and there are a number of best practices to follow in order to make the best use of it. 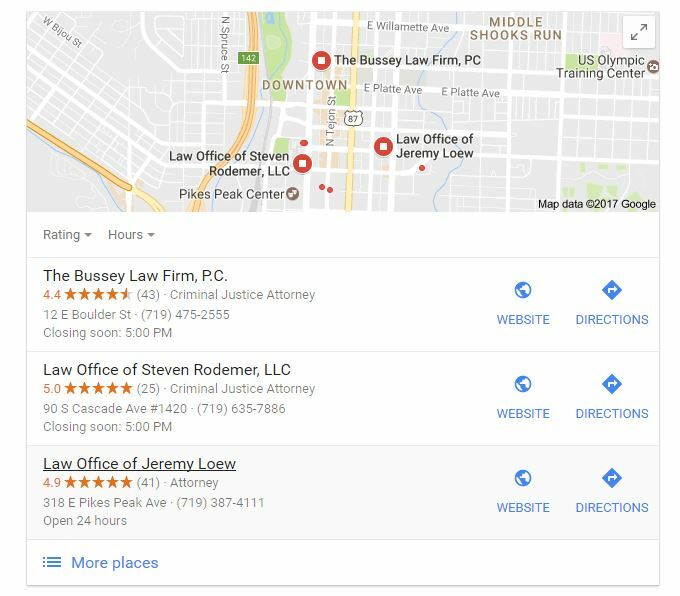 Give us a call at (719) 7614862 or contact me HERE and ask for my “18 Best Local SEO Practices” that’ll get your business noticed on Google. Managing SEO is one of the most important things to do for a better online rankings. Linkio is a powerful automation tool for backlink planning that takes the repetitive and tedious work out of setting up link building campaigns. A professionally-built website for your local Colorado Springs business is a must-have these days. The best business website is a lead generation website (click HERE for more details on a lead generation website). Why not contact us today and let us show you how a lead generation website can build your business on a budget! Call us at (719) 761-4862 or use the handy form on the right! You need a well-optimized SEO strategy for your business website to attract enough traffic that converts to sales to grow your business! 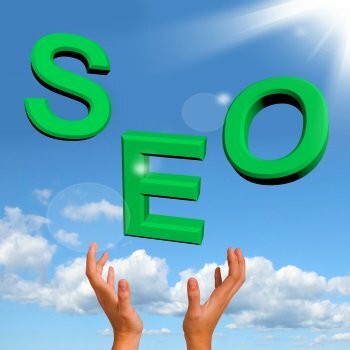 SEO is elemental to your business success. Without a well-optimized internet presence you will have a difficult time even staying in business these days. If you’re unsure about the effectiveness of your SEO strategy, give us a call at (719) 761-4862 today! You may have cheap hosting, but who will keep your software up-to-date? What will you do if your business website is hacked or falls prey to a spammer’s aggressive tactics? We provide 24/7 security monitoring. We also keep full backups of your business website for a quick restoration if the worst happens. 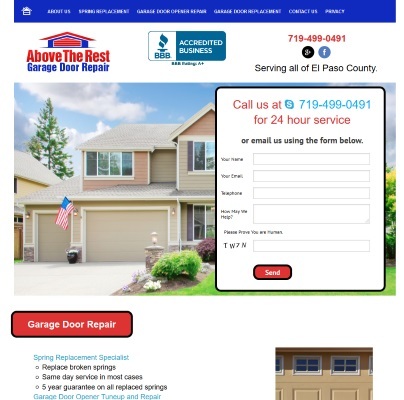 Give us a call at (719) 761-4862 or contact us today and let’s get your website taken care of!